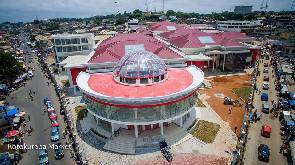 A Cape Coast High Court has set Tuesday, January 17, 2017, for the hearing of an interlocutory injunction against the allocation of stores at the recently inaugurated Kotokuraba Market. The application was filed by eight former occupants of the old market, led by one Madam Sabina Tweneboa. 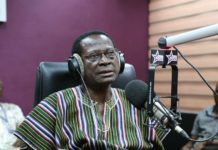 In their Statement of Claim, the group, in court over the demolishing of the market two years ago, alleged that the Cape Coast Metropolitan Assembly (CCMA) was distributing stores in the new market to only members of the National Democratic Congress (NDC) before the party leaves office. Rumours are rife in the metropolis that the stores are being distributed to people mostly members of the NDC outside the Central Region to the neglect of traders whose stores were demolished to pave way for the new market. A large number of traders who trooped to the court on Thursday seeking to hear the decision of the court were left disappointed as they would have to wait till next year to know their fate. When the case was called at the Cape Coast High Court III, Counsel for the respondents, Mr Harry Hayford, said he had not received a copy of the suit and prayed the court, presided over by Mr Justice Kwasi Dapaah, to adjourn it to next year. It would be recalled that prior to the construction of the new ultra-modern Kotokuraba Market, eight aggrieved traders filed a motion of stay of execution against the demolishing of the market. In their Statement of Claim, the traders alleged among other things that cubicles in the temporary market were too small, made with inferior materials, too warm, not human friendly and inconvenient for business. In the process of the trial of the case, Osabarima Kwesi Atta II, the Omanhen of Oguaa Traditional Area, prayed the court for a possible out of court settlement which was granted but was, however, unable to settle the case amicably at his palace. The matter was subsequently brought to court for full trial at the end of which the court gave an order for the demolishing of the market. for the hearing of an interlocutory injunction against the allocation of stores at the recently inaugurated Kotokuraba Market. 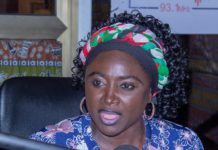 Previous articleChairman Wontumi, has offered the sum of GHC10,000 for information on the whereabouts of a Kumasi-based broadcaster, Daasebre Agyei Dwamena, who has gone missing for the past two weeks.